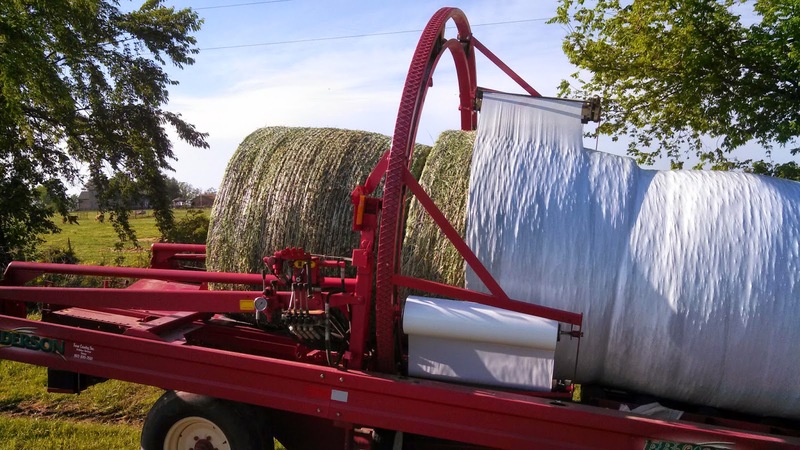 We're rollin' on the dairy...spring harvest of rye and wheat has begun! Part of the crop is being chopped and hauled from the field to the silo but the rest of it will be wrapped in plastic and allowed to ferment for feeding later in the year. 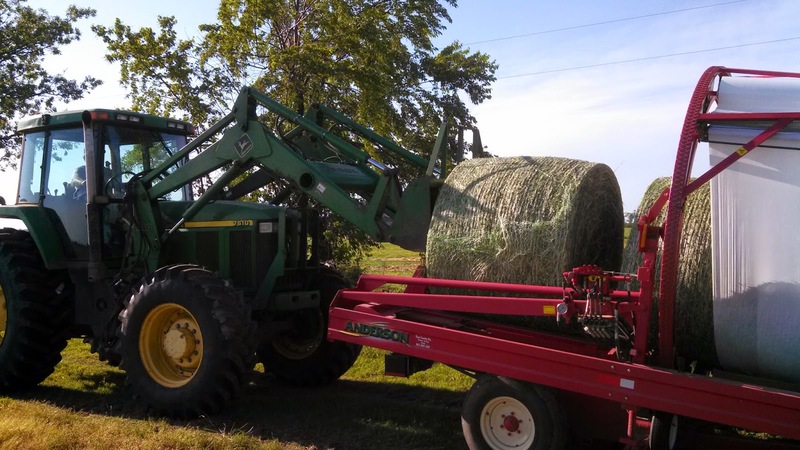 I was called to field duty late Saturday afternoon to assist in getting the last few bales hauled home to be wrapped. Once we got to the wrapper, my job was to stand by the wrapper and be ready to push the STOP button if needed. Fortunately, everything worked properly and I did not get in trouble for doing the wrong thing! It wasn't a bit hard to enjoy the afternoon sunshine with a thankful heart for this crop that will provide nutritious feed for our dairy cows. Working with my family while we're Rollin' on the Dairy is just one of the perks for living and working on our family dairy farm. Can You Hear the Moo-sic?